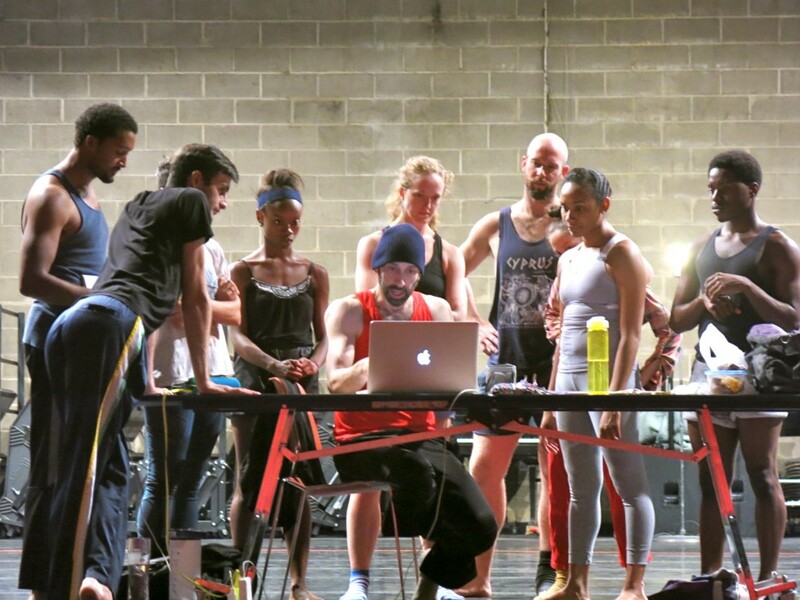 A blog created by DGDC to illuminate the behind-the-scenes process of reconstructing dances and preparing for our Bryant Park performance, July 10, 2015. Daniel Gwirtzman Dance Company has a history of performing in Bryant Park. In our sixteen-year history we have been presented three times before, twice by Dancers Responding to AIDS, when we performed Puzzle and Obsession, and once by the Booking Dance Festival, Daniel’s signature solo for himself Character. 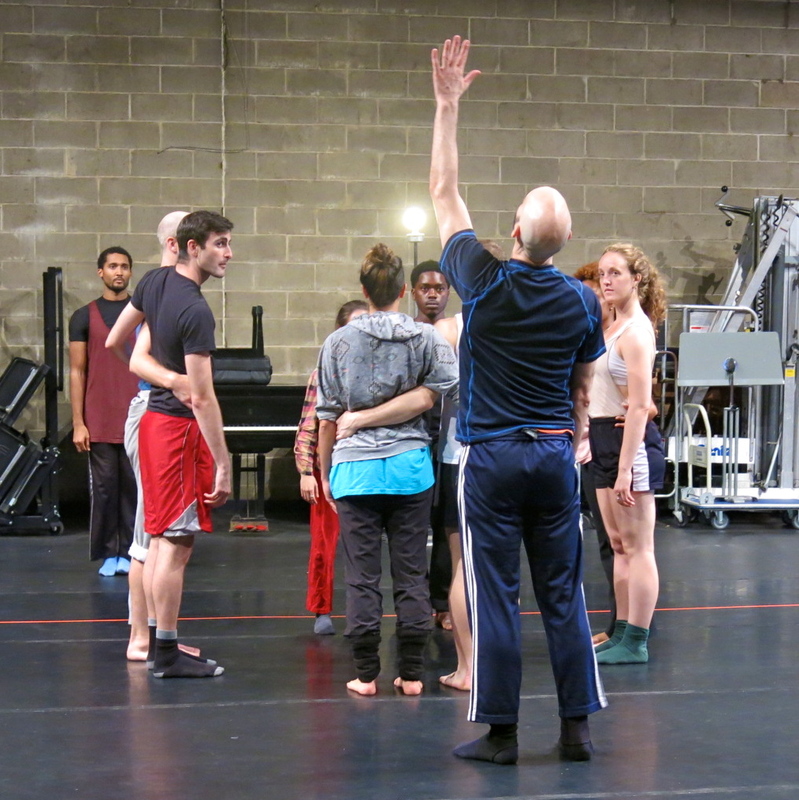 This return to Bryant Park marks the first time the Company will present an extended program. 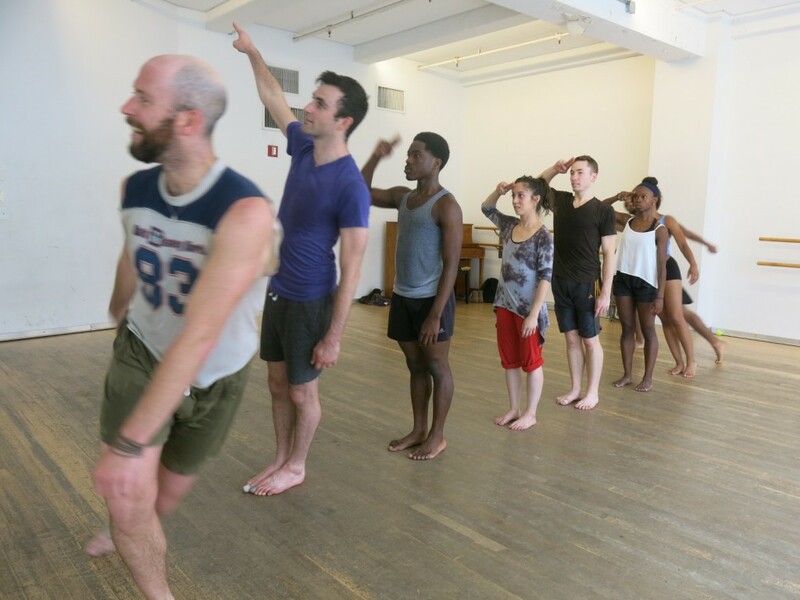 and we are taking advantage of the opportunity to share some of the favorite dances from the diverse repertory. These dances, all accessible, theatrical, musical and colorful, are audience favorites that have enjoyed many performances throughout the years. However, this program, combining ten dances in thirty minutes, has yet to be seen in New York. 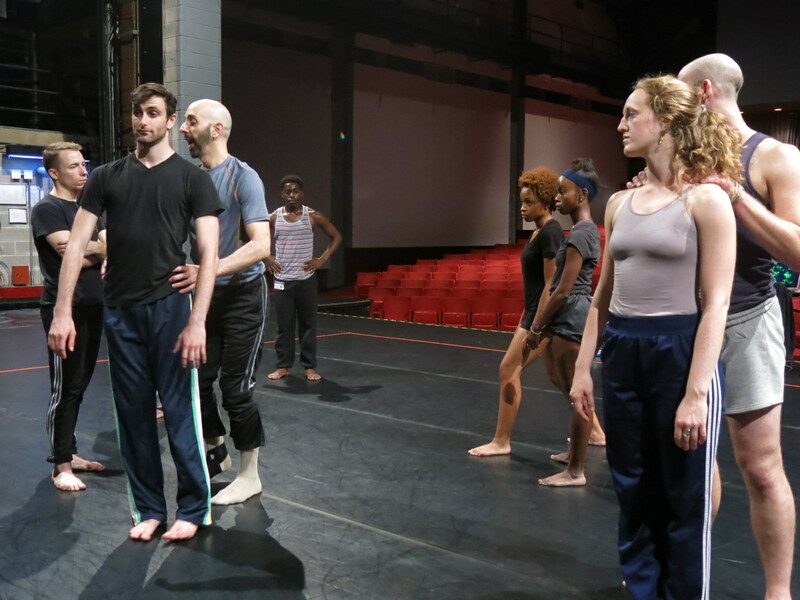 With an acclaimed cast of fifteen dancers, the Company brings its classic summertime program, which previewed at the Nazareth College Summer Dance Festival in 2011 and premiered at Jacob’s Pillow Dance Festival in 2012, to New York for the first time. In preparation for the Bryant Park performance, DGDC is working to revamp many previous works for the unique outdoor setting and the dimensions of its stage. 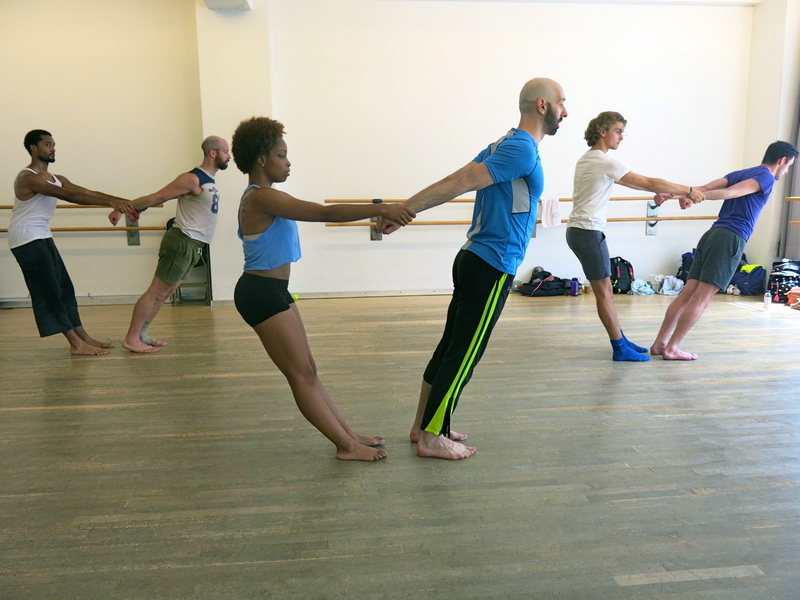 Being a repertory company, DGDC strives to maintain the detail-oriented and intricate choreography despite rotating and growing casts of dancers. 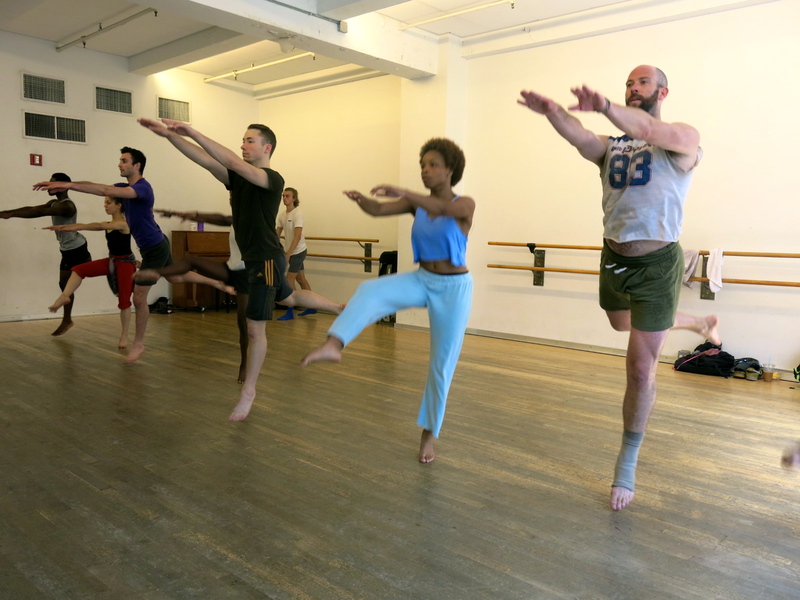 Throughout the rehearsal process leading up to Bryant Park, the lively energy of the movement vocabulary allows this group of dancers (some of whom have never performed together before) to form a welcoming community and camaraderie with each other despite their various dance backgrounds. 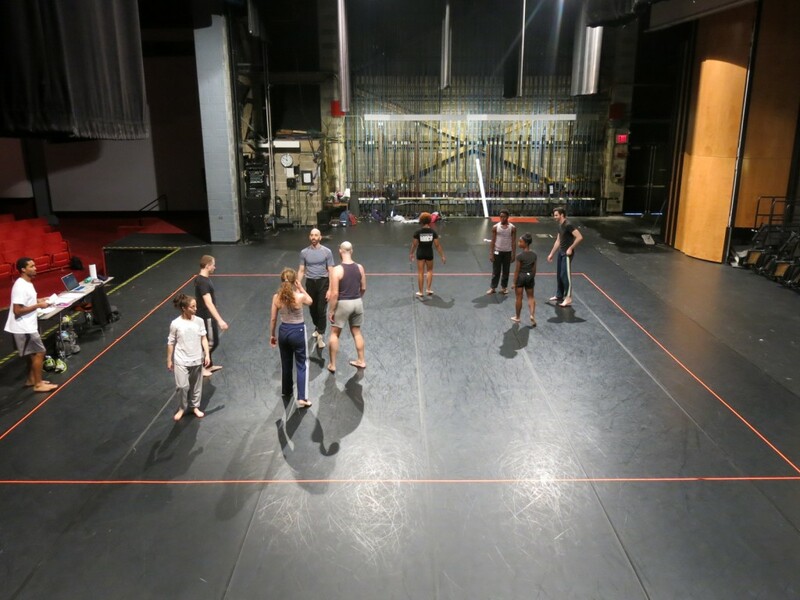 While the process of preparing for Bryant Park has been in motion for months, only now, two weeks before the performance, have we begun to integrate the many moving parts: dancers, choreography, notes, costumes, music; the whole show must come together at a dauntingly-fast pace. 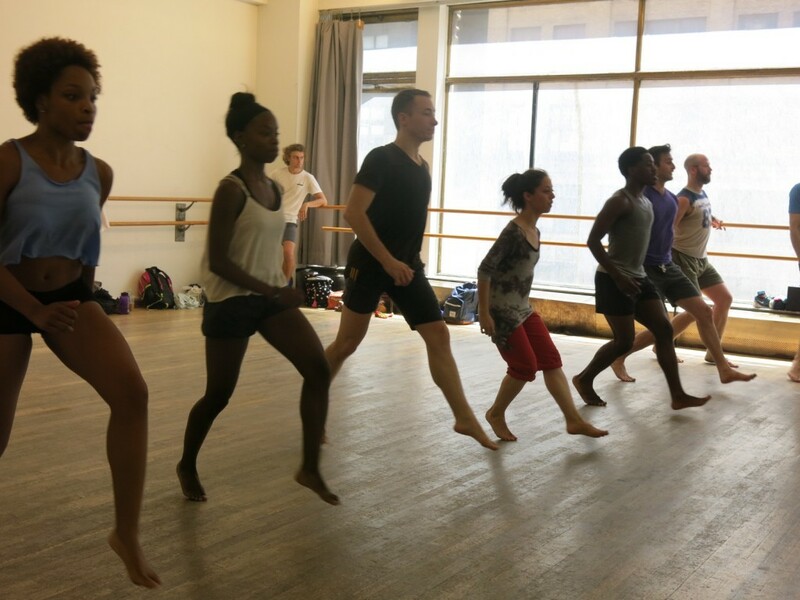 While Stacy will be featured in multiple dances at Bryant Park, including the much-loved A-Tisket, A-Tasket solo, she is not the longest-standing member of the Company. 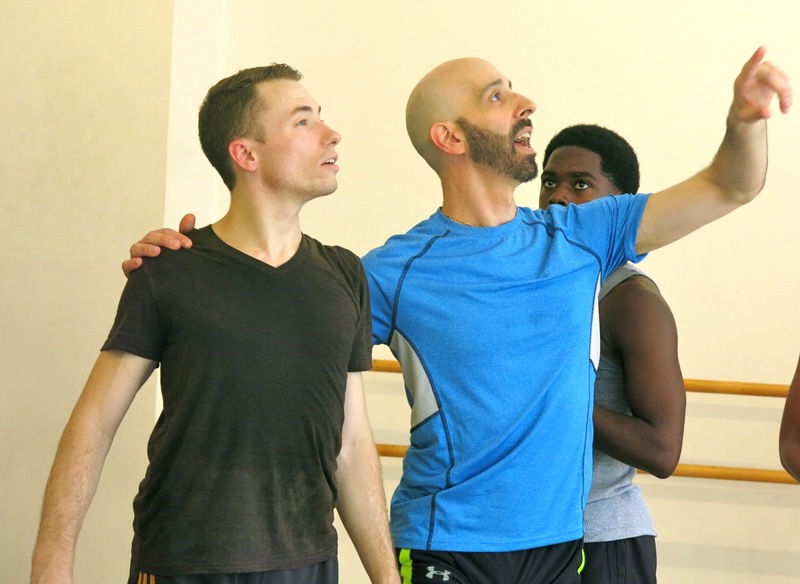 Those roles go to Oren Barnoy (since 2000) and Jason Garcia Ignacio (2001), who will dance together in Dreamland, a duet choreographed in 2013. The dancers of which Jeff speaks are four apprentices working with the Company, students from Kennesaw State University in Atlanta, GA. Daniel, teaching at the University, was able to obtain a grant to bring the apprentices to New York for the summer to understudy and perform. Their perspectives cast a different light on the process. 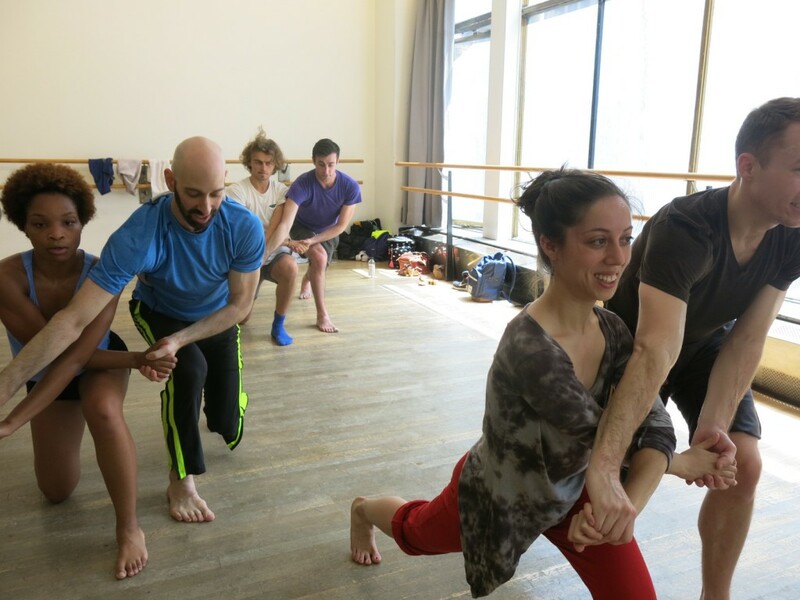 Simone Stevens, also dancing reflects: “Today’s process began at a more relaxed pace than rehearsals had been in the past. The stress that can come as a result of being in a foreign environment was void during this rehearsal because of the atmosphere in which we entered. The material was new to us all, but it was a joy to be a part of this process. The Summertime Suite clearly embodies Daniel’s choreographic aesthetic; quick-paced and dynamic, and also intricate and original. When the company is all together we are able to rehearse multiple pieces, such a new and exciting adventure for us all. Daniel Gwirtzman Dance Company is looking forward and we hope you will come see what all the fun is about!